Pioneer's NEX receivers are different from one another in small but significant ways. I am still trying to find out what the major differences are, which in-turn will explain why the prices differ so much. 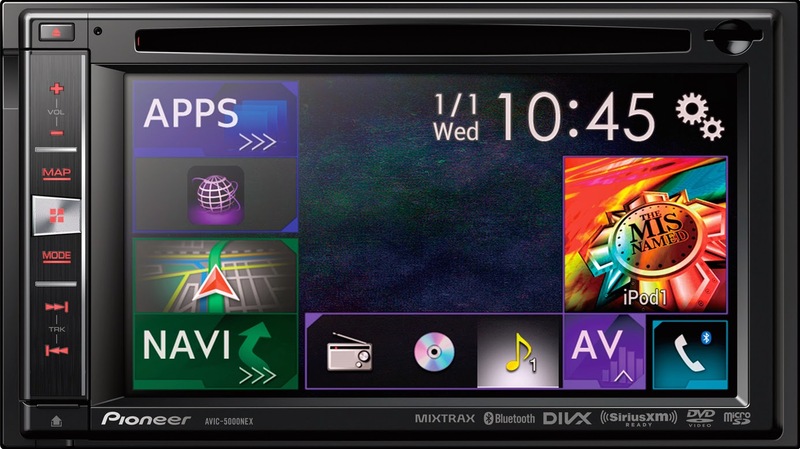 Take the AVIC-5000NEX for example. This receiver is the fourth in line among the NEX receivers and one major difference is the absence of an HDMI port. So how will the AVIC-5000NEX support the iPhone 5 and above? Using the RGB input (CD-IV202AV kit and Apple Lightning to VGA adapter required). For CarPlay though, you will use the USB port to connect your iPhone 5 and above using only one lightning USB cable. As usual, Pioneer does not include any cables with their receivers and these will have to be purchased separately. The other major difference is that the AVIC-5000NEX has a 6.1 inch screen (like the AVIC-6000NEX). More details are coming soon so stay tuned. I am working on making a table to show the major differences between NEX units so watch out for that.